OSE upgraded flex cable assembly for ProMarine Skater Twin Drive. These are cut & soldered, ready to install in your boat. No soldering or cutting required! OSE .187" Cable with 3/16" prop shaft. This cable measures .187" (4.75) in diameter. The wire strands on this cable are a thicker gauge for added strength. 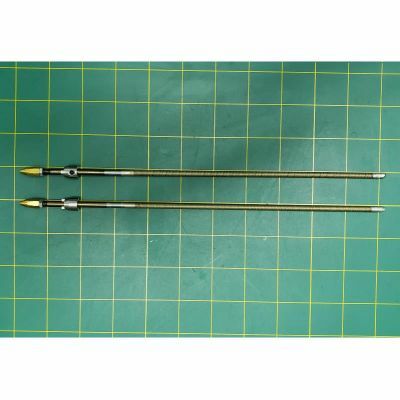 (1) ose-1191 Left flex cables with 3/16" (4.76mm) Propeller shaft 2.75" (70mm) Long. (1) ose-1191 Right flex cables with 3/16" (4.76mm) Propeller shaft 2.75" (70mm) Long.